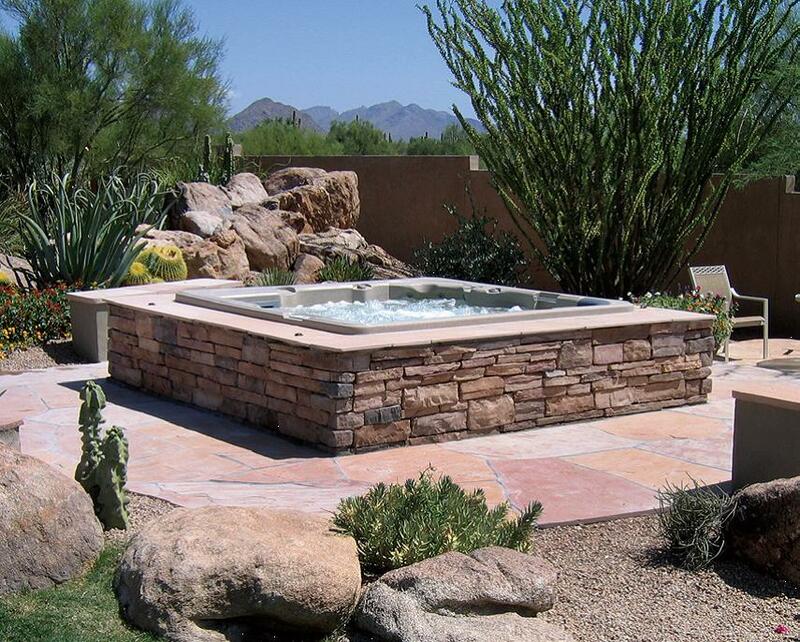 California Pools and our partners have developed a patented and amazing acrylic inground performance spa. Our performance spas have an interior as smooth as tile at much less cost. They have 20 jets with options for up to 35. The equipment is located in our patented custom masonry box located right at the spa so these spas rock! insulated and hold their heat with a thermal cover so that they are always hot and ready to soothe away stress. action like no inground spa ever. The shell has a twenty year warranty and all the equipment is fully warranted as well.We offer complete outdoor living packages as well. This includes built in bbq’s, deck areas, and shade structures to create your perfect outdoor! Please contact 480-498-2205 or www.calpool.com if you would like an estimate today!